Today I wanted to cover some trading basics and discuss just what range bars are and what sort of advantages they can offer to your trading approach. Range bars are a relatively new development in the world of trading and as a result a lot of people don't know much about them and haven't actively used them in their own trading. This is a shame, as properly utilized range bar charts can be an extremely effective way of breaking down the market's price action and offer a number of advantages over conventional time-based charting. 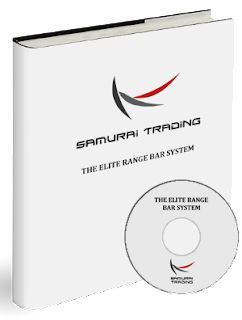 Using this method a trader could choose the range they found most useful for their methods (we use mostly 3-5 pip range bars at Samurai Forex Trading) and apply new approaches that were otherwise unavailable using their previous charts. 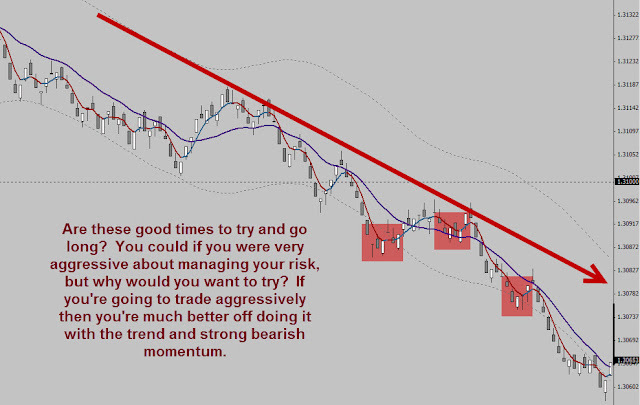 This new range bar development provided Mr. Nicolellis many advantages over time-based charting. For one, using range bars helps smooth out the price action and eliminates a lot of the market noise. Since only price matters to range bar creation and not time, periods of chopping action are minimized and false signals are reduced. We can see in the chart below how effective this can be, where extra bars print in the strong trending move up (allowing us additional entry opportunities) while less bars print while price is moving slowly and is quite choppy (thus keeping us out of false moves). Using range bars also more clearly highlights potential areas of support and resistance. You can often see this in the video recaps I post when price is moving quickly. Support and resistance areas that may have previously been hidden within M5 and M15 bars become clearly visible by using small range bars. We can use these areas as extra evidence for our trades and also as highly effective potential exit points in our trade management strategies. But probably the most important advantage of range bar charts is that they allow us to minimize or in some casesbeven eliminate the lag time of indicators. Using indicators may only be a small part of a comprehensive overall trading approach, but they can still be highly effective if used in a way that minimizes the noise and false signals. By focusing on price alone and removing the time element, many indicators become much more accurate and powerful. For example, in The Elite Range Bar System we use moving averages to help us time our trades by taking entries in line with short and medium-term momentum. By removing time we are able to focus on the movement of price itself which allows us to be more precise. Where a trader might normally have to wait for a M5 or M15 bar to close, we can enter within that bar by trading strictly off the movement and momentum of price. This makes for an extremely effective trading approach! Here we have an example of how range bars can be very useful in fast trends by using moving averages to gauge short-term momentum. 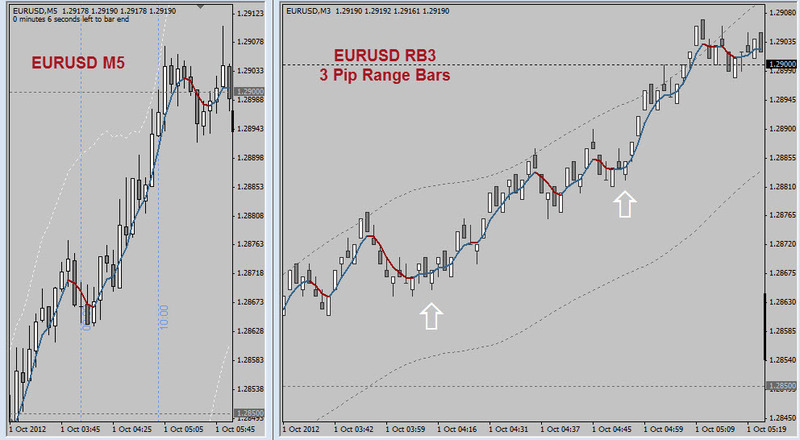 Where the M5 doesn't offer much opportunity for joining the bullish run, the RB3 (3 pip range bar) chart shows the smaller price action pullbacks the M5 bars hide and allows us to take some high-quality entries in line with the overall move. The same sort of price action can occur on price extremes as well, where quick rejections on time-based charts don't give us an entry but the clarity of range bar price action does. 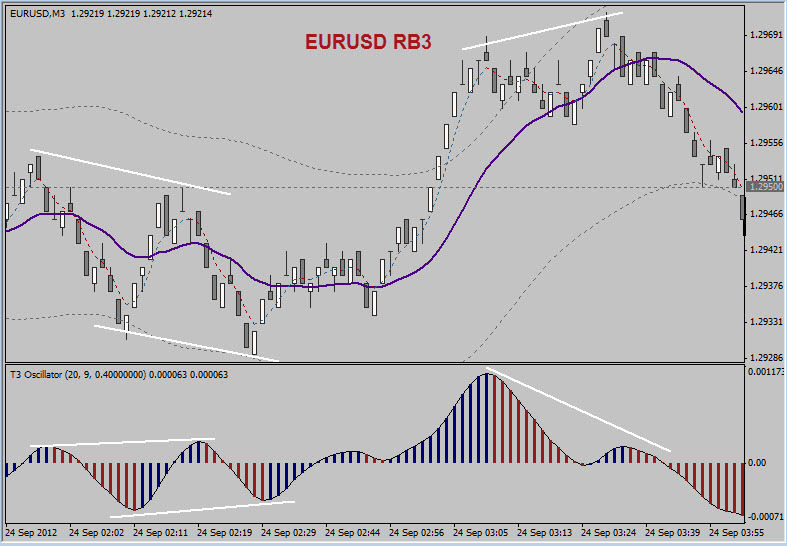 Range bars can also be highly effective with oscillators such as MACD or Stochastics. Although I no longer use these directly in The Elite Range Bar System, for over a year I did trade range bar strategies with some of these indicators and I found them to be far more effective than with time-based charts for trading ranges and counter-trend. By eliminating time and focusing on price alone, these oscillators built themselves in a completely different way that greatly improved their accuracy. Things like overbought and oversold levels were based on price alone and were better than ever. Try them out on some range bar charts for yourself and you will see what I mean! If you have been trading time-based charts for any length of time you will likely find it well worth the effort to do some research and testing with range bars. Not only will they offer you a completely new perspective on trading and price action, they are also highly effective in an actual live trading environment! If you want to see more of range bars in action I would greatly encourage you to watch some of our video recaps here on the blog so you can see how we use them to effectively pull pips out of the market. If you're looking for a more comprehensive approach that includes setups and trade management strategies you can take a look at the page for our Elite Range Bar System course which contains a complete trading methodology. Today I wanted to give everyone a better look at how we trade here at Samurai Forex Trading. If you've watched a lot of my market recap videos you probably already have a pretty good idea what I'm going to show you, but for those of you new to The Elite Range Bar System I wanted to give some additional detail on the types of setups we look for. In my trading I have three basic Trade Types that I have defined that repeat over and over again. The exact setup differs slightly each time, of course, but each of these Types has certain common characteristics that we can identify to find high quality trading opportunities. There are also some variations of these that I sometimes mention in the videos but to keep things simple for the purpose of the video I will just focus on the basics. These trades have already been covered a bit on the blog before in The Importance of Trend Trading. As the name of that blog post suggests, these are trades taken in line with the moving average shown on the chart in purple. Sometimes they are also taken when the line is turning over for a trend change, but those are slightly more advanced. Trading with the trend while following the rules leads to excellent win ratios and a very good risk to reward. That's why I like beginners to stick to Type 1s, since the edge and expectancy are often greatly in your favor. With Type 1 Trades the rules are quite simple. I look to trade when price pulls back and then resumes in the direction the purple moving average is sloping. Of course, we can't just trade every bearish bar on every pullback and expect to do well. We need other criteria as well to put the trading edge in our favor. So while I consider the purple moving average to show me the medium-term momentum, I also have defined rules for when the short-term momentum has shifted. That's truly the key - when both short and medium term momentum are in alignment then the possibility for a high quality trades exists. The final criteria is that we look for specific price action patterns in order to trigger our trade. We need to know that the battle between bulls and bears has shifted in our favor and we can do this by looking for repeatable price patterns in line with the momentum I previously mentioned. For those wondering how we manage to get such precise entries in the videos with such small stops, the explanation above should give you a better idea. It's all about everything lining up before hitting the button to pull the trigger on a trade. If you're too early or too late it's going to hurt your overall performance and as an intraday trader you really want to keep that win rate high. So we just wait until the timing is right according to our rules and then jump in for the ride just as momentum is turning. These trades are probably easiest to define as range trades but with the occasional larger reversal. With Type 2s, we want to see price reach an extreme and in most cases for the market to be fairly flat or at least in a weaker trend. We are also looking for something called a Traders' Trap. What that means is that we look for false breaks of prior highs and lows and for traders to be trapped in positions with the market getting ready to move against them. For example, if price has just made a false break of an earlier low and risen above it then the traders who are short on the breakout are now trapped in a losing trade. They won't want to hold their losing positions for very long so if price goes against them they will often exit quickly (which means they now have to buy to clear their previous sell) and this will accelerate the move up as more and more traders exit their failed false breakout trade. We look to take advantage of these scenarios by looking for these traps and then entering just at the point that short-term momentum shifts as defined by the tools we use. Again, timing is crucial here. We want to get in before the trade accelerates as trapped traders exit, but not so early that we might be caught in a false reversal as well. Luckily by following our rules and also looking for specific price patterns we can usually time these trades extremely well maintaining both a high hit rate and excellent risk/reward. I won't go in to a lot of detail on these because quite simply there would be too much to cover here. It's not that these setups are insanely complex by any means (in fact the rules are still quite simple), it's just that they require the introduction of some other concepts that are beyond the scope of this post. Basically Type 3 Trades are full on counter-trend and reversal setups. Because entering a Type 3 means fighting the medium term flow of the market these are the riskiest trades we take and are for advanced Elite Range Bar traders only. It doesn't take long to get to the level where you can trade these, but you do need some screen time to feel comfortable and confident in your timing. A Type 3 is actually pretty simple in reality. We look for these setups when price is on an extreme and very extended. In these cases we then trade the shift in short-term momentum as we look for price to "snap back" quickly and head the other way. Again, you can't just trade every time price goes to an extreme. This is exactly the sort of trap many traders fall in where they take counter-trend losses over and over in strong trends. So to do it right we need other factors as well and this means introducing things like M5 and volume analysis to provide the extra evidence that will make us confident in our timing. It can be done without these elements, but when it comes to counter-trend trading I want all the evidence I can get so I do like to add a few things in that I find highly useful. Keep in mind that many traders (including myself at times) don't even bother with Type 3s and instead just focus on Type 1 and 2 trades. When trading with 3 and 4 pip range bars and multiple pairs, there are more than enough opportunities to make good pips without having to counter-trend trade. So if you are more of a conservative trader or simply developing your skills you can definitely take a market approach that doesn't include these more advanced setups and still do very well. I hope you enjoyed a bit of an inside look at our Elite Range Bar System methods and gained a better idea of the sort of setups we look for in the forex market every day. This is a very basic overview and doesn't go over a lot of the bonus setups we look for but it still covers the basics. If you are following along with our YouTube market recaps that have been posted on the blog it should give you a better understanding of how and why the actual trades are taken as well. 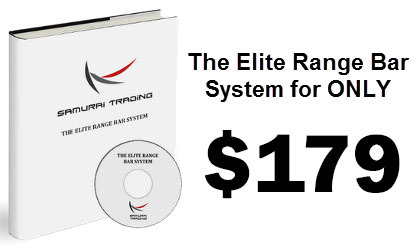 If you want to know more about The Elite Range Bar System and why it was developed you can CLICK HERE. 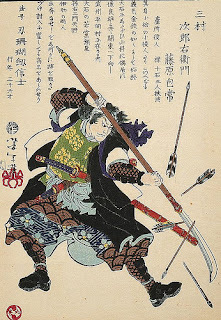 Also, if you want to subscribe to blog updates be sure to sign up in the box on the right at the top of this post and also receive your free Samurai Trading Report: Lessons for The Warrior Trader. Many of you keep in touch with me on a regular basis to share your results and progress with The Elite Range Bar System, but in the past week I had three very similar e-mails that I thought were worthy of a quick post. These traders brought up different issues but essentially they each boiled down to asking, "now that I have become a full time forex trader, what can I do to boost my trading performance to an even higher level?" All three of these traders have recently transitioned into the world of professional trading after months of consistency while trading part time around their other work commitments. It's a huge step when you decide to try and make your living as a full time Forex trader, but those months spent building confidence and consistency in execution definitely make it much smoother. What sets these traders apart however is that they aren't just willing to accept being "good enough". They all want to improve their mental edge in the markets and their results even further, so I shared a few ideas that are very helpful for doing just that. Anyone who has made the transition into full time Forex trading has already built up confidence in their trading system and their ability to execute it effectively. They know their rules, they understand the black and white situations in the market, and they have embraced the ever-changing nature of the market. Once you've got to this point though, it can be difficult to figure out what the next step should be. Is it studying more charts, more setups, more indicators? While spending time on those areas can still be useful, the number one thing that a full time trader can do is focus on improving their mental edge. The way we think and our ability to be disciplined yet mentally open and adaptable to different market conditions is what trading success is all about. To truly take our trading from being profitable to being elite, we need to focus on the stuff between our ears and find ways to improve our ability to enter the elusive "zone" of pure focus and effortless performance. One of the most common performance boosters I hear traders talk about is their introduction of mindful meditation. 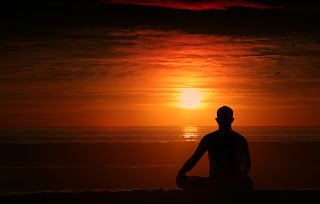 When meditating in this manner, we focus on only our breathing and nothing else. Various thoughts will pop into your mind, but you just quickly acknowledge them and then let them go, continuing to focus on your breathing. While this may seem like it would give limited results for trading performance, the reality is far different. Over time, you will improve your ability to focus and maintain mental calm which will not only flow into your daily life but also your trading. This extra focus will allow you to become fully immersed in the market so you will miss few high quality setups. Similarly, the increased mental calm will benefit your trade management massively. If you are looking to get started with mindful meditation, I would highly recommend the book Mindfulness in Plain English. Be sure to give these techniques a good chance to sink in over at least a month. You are unlikely to see rapid changes in the first few sessions, but over time it can make a huge difference. Trading is a very competitive profession and as we've discussed, the mental edge is often what separates the good traders from the great. There is no doubt that this shares many similarities with those who play professional sports. There are a lot of people out there who have the skills to be great in their sport, but they falter and burn out because they can't keep themselves at a consistently high level of mental performance. In order to be highly consistent trading professionals it's vital we focus on our mental approach and look for ways to get "in the zone", and there are a number of excellent sports psychology books out there that will help you do that. A couple of my favourites include With Winning in Mind and 10 Minute Toughness. Both of these books focus on the mental preparation that is needed to perform in a sport at an extremely high level, and the lessons are hugely applicable to trading as well. As a full time trader you've no doubt already put in the time and effort to study your charts, test ideas with past data, and have proven your edge in live markets. But have you really stopped to focus on how you can maximize your mental preparation to improve results? We often spend so much time as traders focused on charts that we ignore just how crucial mental preparation is to achieving peak performance. 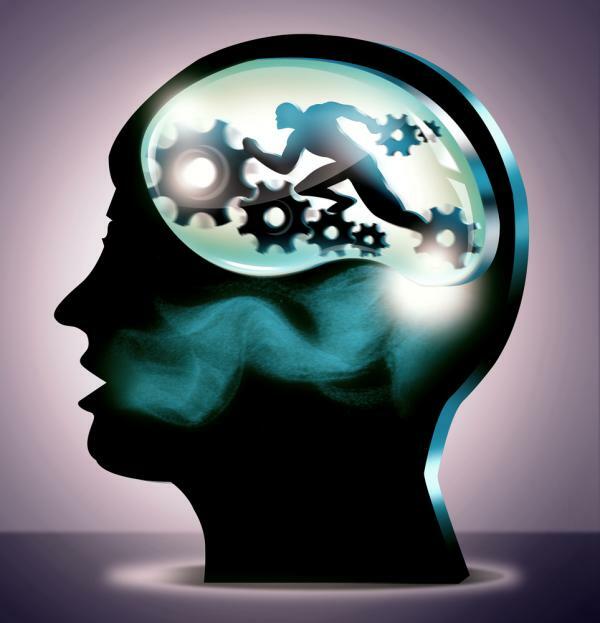 If you are profitable and searching for the next level in your trading, make sure that you implement mental training into your daily regimen. Just because you've gone full time as a trader doesn't mean it's time to relax. This is often the most difficult point in the entire trading journey, so you should continually be looking for ways to improve. Although it can be difficult to continually make small changes in your plan to rapidly increase your edge, many of the mental improvements you can make will truly leap you into another level of trading success. Anyone who has been in this business for a long time knows your actual trading system can only take you so far, so if you want to reach that truly elite level then it's time to focus on the mental side of trading to ensure your continual growth as a trader. I'm going to keep this recap short and sweet today as it's just such a busy day over here. The nice thing is that even though life has been pretty hectic, the markets have been quite kind and are offering excellent opportunities every day. Between EUR/USD and EUR/JPY there's always a few very good trades to be had. Today was easy, if you were willing to follow the rules and push yourself into the trades. As I've talked about many times, it can be difficult for some traders to trade trends simply because they always seem to be extended and possibly ready to turn. The strongest moves can be even harder to deal with as it often means you need to enter right on the edge of the market if you want to get in at all. By following my Elite Range Bar approach I was able to take advantage and get in on small momentum shifts that are often very difficult to ascertain on time-based charts. Now that the Eurozone seems to be undergoing a fresh bout of uncertainty due to Cyprus, it could mean considerable opportunity for us as day traders. In Forex, it doesn't matter to us if price goes up or down. All that matters is that it moves! We thrive on volatility. You can never say for sure but I am hopeful that this will give us some fairly consistent volatility in the coming weeks so make sure you are ready to take advantage! The Three Trade Types: There are three setups we commonly use in our trading and each is fully defined in the system. Setup criteria, entries and exits are all covered in detail. Forex is still my first trading love and days like this remind me why. Catching those nice runs, smoothly moving to levels for ideal exits, and then reversing to catch the pips going the other way... it was all so clean. If it was always that way during any session and any time of the day I would probably have never experimented in other markets, but I'm glad I have and continue to do so. It's all about flexibility as a trader, really. Knowing that you can trade at any time, any place, with consistent success in a wide variety of markets? That's the Holy Grail if you're doing this for a living. It's important not to discount continued research efforts and development for their own merits either. Even if what you are working on is something completely different than you regular trading plan, it all serves to improve your market knowledge and overall ability as a trader. Expanding your "trading toolbox" brings positive effects to all your trading, not just a particular niche. A part of that ongoing development journey for me lately has meant I'm quite committed at times during the New York mornings so Forex has been limited cocassionally to the European morning only. When you have a European morning like this where you can bank +43 pips though, a trader can have few complaints. What was so great about today was the number of charts I received from many of you showing me similarly excellent results. Markets have been moving well and many of you are taking advantage of the great volatility on a regular basis in EUR/USD and EUR/JPY which is fantastic. Just don't get greedy, keep each day positive, and rely on your consistency to take you to your long-term goals. The last couple weeks have been a pretty wild ride in many ways. The markets have been moving well (with EUR/JPY being especially active much of the time) and there has been plenty of opportunity out there for the Elite Range Bar trader. I've also been extremely busy with some other trading projects as well but everything seems to coming together. The trading on Wednesday was a fairly straight-forward affair but it wasn't exactly easy. Most of the trades required a fair bit of managing and few of the decisions that needed to be made were obvious. Because of that I took a fairly conservative approach for the most part, banking pips if the price movement stalled for too long and was starting to show bottoming/topping behaviour. The third trade of the day fully cemented that thinking when I saw over 15 pips come back to nothing. That's just something you have to accept as a trader - if you want to look for more confirmation to exit or an extra leg in a move, sometimes you are going to give back some pips to the market. The way I like to think of my trades is in sets of 20. Ask yourself, if you took that setup 20 times and made the same decision, would it work out favourably? More often than not I would expect at least another attempt higher that would give me a second chance to exit rather than a full reversal, and in some cases by holding I might see a lot of extra pips in a nice run. Considering those possibilities it makes sense for me to hold these types of trades instead of just taking 5-10 pips on a strong pullback, even if it means I get nothing in this particular case. Don't forget that Non-Farm Payroll is on Friday. What that means is that we will likely see little movement during European morning (though this isn't always the case) before some significant volatility upon release. If the reaction is particularly strong it's probably be best to switch over to 4 pip range bars to trade the aftermath. Best of luck to all of you and be careful out there! Almost every day I get emails from people asking about a very specific situation in the market. They want to know how it should be handled if this exact pattern comes up again in the future. While it's important to go back and analyze these opportunities, I often see that the trader is asking the wrong questions. Usually they are looking at a small pattern in the market composed of only a handful of range bars but they aren't looking at the greater market picture and considering the context in which the potential opportunity occurs. They are forgetting some of the forex trading basics. The same thing happens with time-based traders and it's often to an even greater degree. All you have to do is look at many of the "price action" traders out there who become incredibly focused on single bars on the M5 or M15 to make decisions. This rarely ends up well in the long term. Single bars can be excellent (like hammers and shooting stars) but only if the context for the trade is right. If you are pulling the trigger based on a single bar without considering the overall structure and momentum of the market you are going to run into trouble. While using range bars does help us with the short-term momentum part of the equation we still need to take a step back at times and consider the market as a whole. If the market is in a very clear and tight range, should we be taking trades near the edge of it? Even if we can get a trade near the middle, is there a way we can minimize our risk? These are the sort of questions traders should be asking themselves throughout the day. Reading the overall context of the market throughout the day and making plans for possible future scenarios based on it will be a huge advantage in your trading strategy. One of the greatest shifts in trading development that I often see is when traders stop focusing on ENTRIES and start focusing on SETUPS. Read the market, plan out likely scenarios, then trade your plan when quality entries present themselves. If you can do this you will learn how the market moves and what the likely outcomes will be far before they happen. It's in this way that a trader begins to develop his "gut instinct" for trades. Those who focus on only the last few minutes rarely develop that feeling. If the market has been trending very strongly in one direction most of the day, is it a good idea to fight that momentum? While in retrospect the answer is almost always an obvious "no", in live trading this is often much more difficult. While trading it always seems extremely easy to convince ourselves that we are putting in a top or a bottom. The human ego loves to look incredibly clever by trying to catch the very edge of the market. It forgets how often it can be wrong and always looks for the next time to look good. Don't listen and don't fall into the trap! We say to ourselves that "price looks so extended", "it couldn't possibly keep running in this direction", or something similar. Usually when we think this way we quickly find out how wrong we were. The market is the master and you don't have control of what it will do. As much as we want to believe the market will turn on a dime this is very rarely the case. Usually turns occur over the course of multiple attempts and an extended battle between bulls and bears. Don't try to outsmart the market. Consider the greater forces in effect and let the market tell you when it's most likely ready to turn. It usually gives clear signs of the possibility if you don't become blinded by trying to force your bias on the market. More importantly, if you guess wrong then be sure to minimize your risk as much as possible. Fighting a trend is no time to keep your risk at the maximum. Sometimes when you are watching the market for hours at a time it becomes easy to lose your focus. Novice and veteran traders alike struggle with this and maintaining focus is all about the discipline of the trader. Like anything else it's a skill that can be developed with time and practice but being aware of it as a newer trader will help improve the learning curve. As traders we often feel a certain pressure to be active in the market. After all, if we're not trading, are we really traders at all? This pressure can be the most difficult thing for a novice trader to overcome. Once you begin to realize that real trading is all about patience you usually begin to turn the corner to the consistency you desire. We need to understand that our skill as a trader is defined by our ability to choose high quality trading opportunities that will provide us with an excellent expectancy. Doing this is all about patience and it is an often neglected part of the trading toolbox. If you know the types of setups you want to take through a solid plan and some study, then finding your patience at the trading screen becomes easier. When your patience pays off with a good trade (it doesn't have to be a winner to be a good trade) it reinforces your discipline and increases your ability to be patient in the future. The real trap is when you lose that patience and start to take bad trades you know you shouldn't take. Normally you know right away when you've made these decisions. You feel uneasy being in the trade or even start to panic. If a bad trade loses, it very often leads to another impatient decision and further losses. This is a cycle that any novice trader must be aware of to have hopes of developing out of it. How do you make sure your focus remains on the big picture during the day and doesn't become too narrow? What tools do you use to guage the momentum in the market and either trade with it or use it to minimize your trading risk? In what ways can you develop your patience as a trader outside of just screen time? Are there other activities you can do to develop this skill and make yourself a more effective trader?